When Satan shits, he needs something practical, violent, and scary, yet soft, and organic because he cares about the earth he one day wants to rule over. 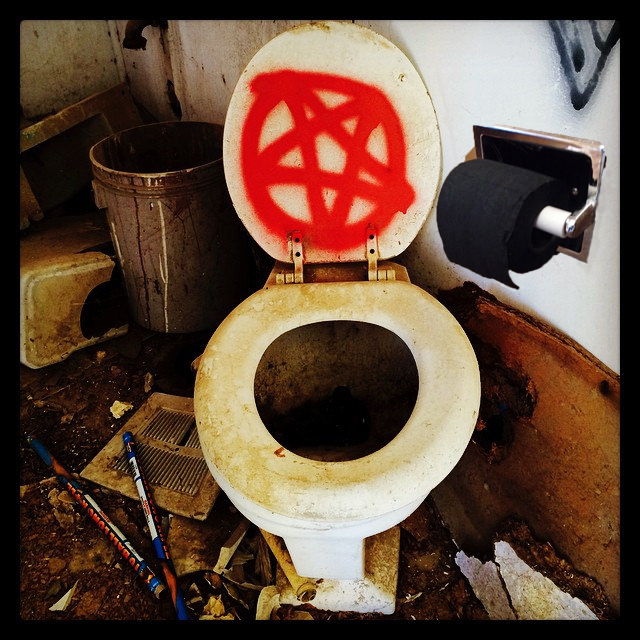 Satan turns to his trusted All Black Satans Toilet Paper, the kind that uses 100% virgin pulp, because Satan loves virgins. Lucifer has always had to deal with chaffing from using inferior 2-ply white toilet paper, so the lord of the underworld insists that he use only the finest biodegradable 3-ply. If you are like Satan, or you just enjoy wondering whether or not you “got it all.” then Satans Toilet Paper will always leave you guessing. This is perfect for the goth frat house, your FIDM freshman just moving to the city, the sad EMO, or even the mentally challenged nickelback fan!